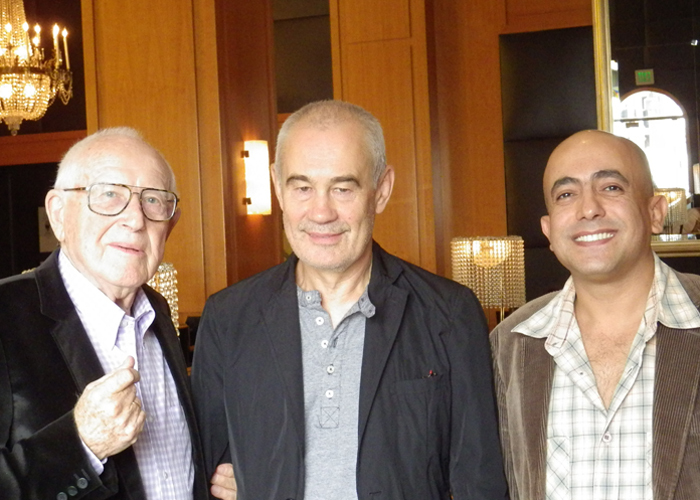 Los Angeles, California, November 2012 – Ahmed Radwan recently had the honor of meeting with two legends of the international film industry. The world-famous and most prominent Russian director/producer Sergei Bodrov (nominated for an Oscar for “Mongol”) met with Mr. Radwan and equally famous producer Branko Lustig (Gladiator, Kingdom of Heaven, ….) to discuss joint projects. Specifically, Mr. Radwan was able to consult with the two film giants on two projects that he is developing.